Many people have unclaimed money just waiting to be claimed. In fact, there is an average of nearly $200 being held by state government for every US resident. Is there any for you? Well, you have to search to find out. You can also search for unclaimed money for family members and friends. While I only have 29 cents (that’s right – $0.29) awaiting my claim, I found $15.99 for one family member and five different claims totaling nearly $200 for another. How do you find out if there’s any money waiting for you? It’s easy! The National Association of Unclaimed Property Administrators (NAUPA) has links for every state where you can search for your unclaimed money. Choose a state and then enter the required information. Within seconds, you’ll have a list of possibilities. If any of the results are you, follow the directions provided to submit a claim. Some states provide more details than others. My state, for example, gives the exact amount, where the money is from and the address on record for the claimant while a neighboring state merely gives a dollar range and city. Be sure to search using former names, if applicable, and check with each state in which you’ve lived or done business. 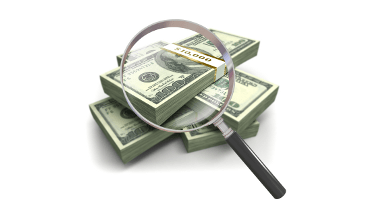 Where Does The Unclaimed Money Come From? The only way you’ll have unclaimed money is if some company couldn’t find you to issue a refund. It could be a utility company, former landlord, insurance company, etc. Legally, companies that cannot return money that is rightfully yours are not allowed to keep it and must eventually turn it over to the state. This can take a while, however, so check back every year or so. My ‘huge’ refund, for instance, is a credit balance from when I paid off a student loan eons ago but it wasn’t listed when I checked the database last year. The refunds I found for family were mostly utility deposit or insurance refunds, some relatively recent and some from decades ago. Unclaimed money may be submitted to the state at any time so check every once in a while and file a claim if you find money that is rightfully yours. Readers, do you have any unclaimed money awaiting you? When I did this search a few years ago I didn’t find any money for myself. Then I became curious and started looking for family members. I found my Dad some money (nothing much, about $100) from an old insurance policy and found my grandmother $250 of dividends from an investment. I found the whole process fun…like a treasure hunt. The claiming process was fairly straightforward as well. My Dad filled out a few forms online, printed, signed and mailed in. My biggest find was for a friend a few years ago. She had a rebate coming and the company sent it to her street address. We don’t have street delivery here and it was returned as undeliverable, so they turned it over to the state and there it was just waiting to be found.